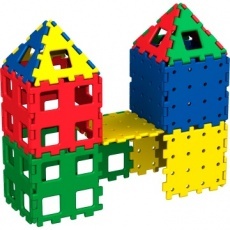 4 times the size of Giant Polydron! 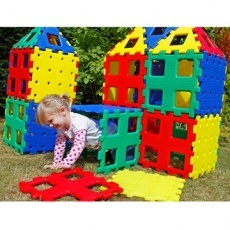 Children will be able to build large constructions, whilst all the time learning about shape, 2 and 3 dimensional objects, texture, team-work and role play. They will work together to put their ideas into reality. 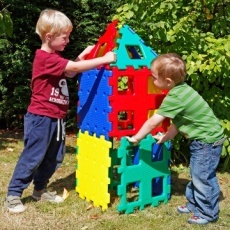 NEW XL Polydron is 4 times the size of Giant Polydron and they fit together perfectly. 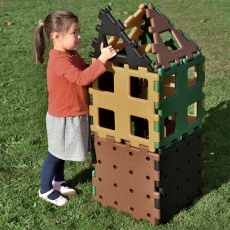 All the accessories for Giant Polydron can be used with XL Polydron: Clip-in Write-on/Wipe off Panels, Mirrors, and Windows and the Giant Cogs.